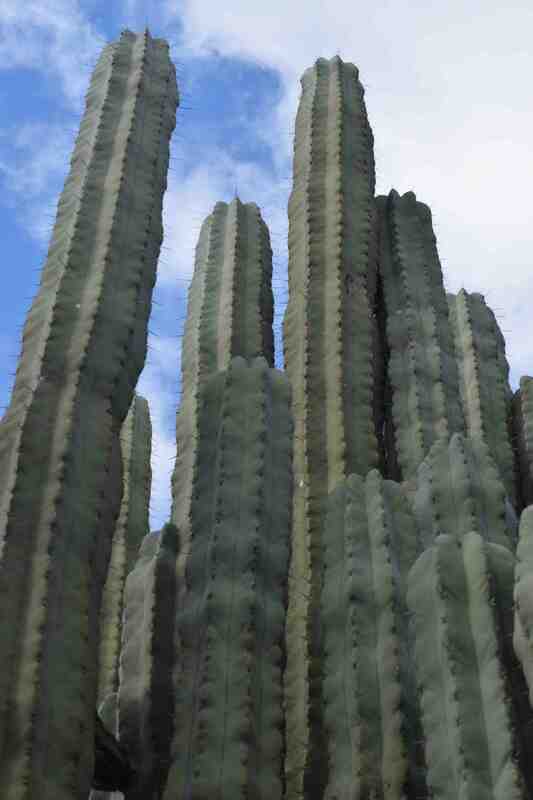 A xerophyte is a plant that is adapted to growing in an environment with low water availability. Plants have various ways of doing this so xerophytes do not all look alike, but there are various features that are common. Having a waxy or silky coat to the leaves or having small leaves reduces water loss (transpiration). Many plants produce leaves for very short periods when water is available, and then drop them, in a method similar to the growth of ephemeral annuals that ‘green’ the desert after rain and then disappear. 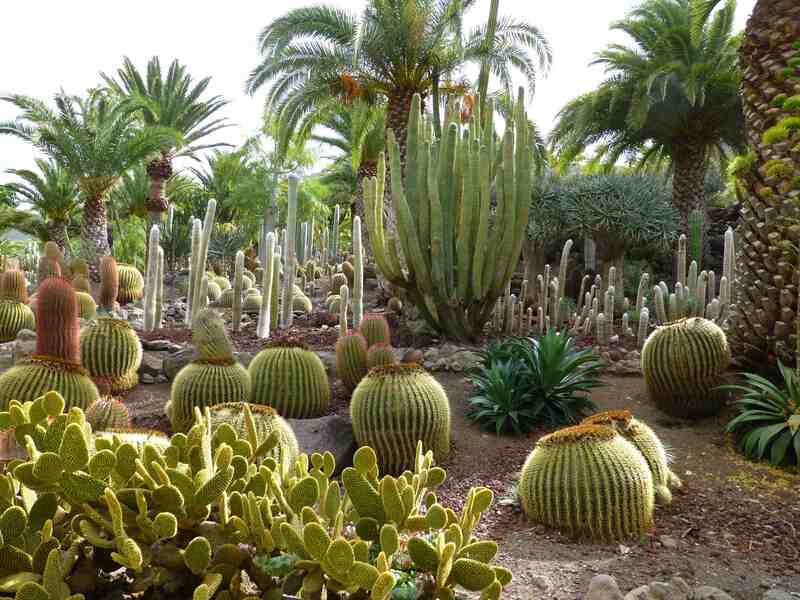 But the best known are cacti which have either no leaves or leaves that quickly drop (except for the primitive pereskia) and that store water in their swollen stems. 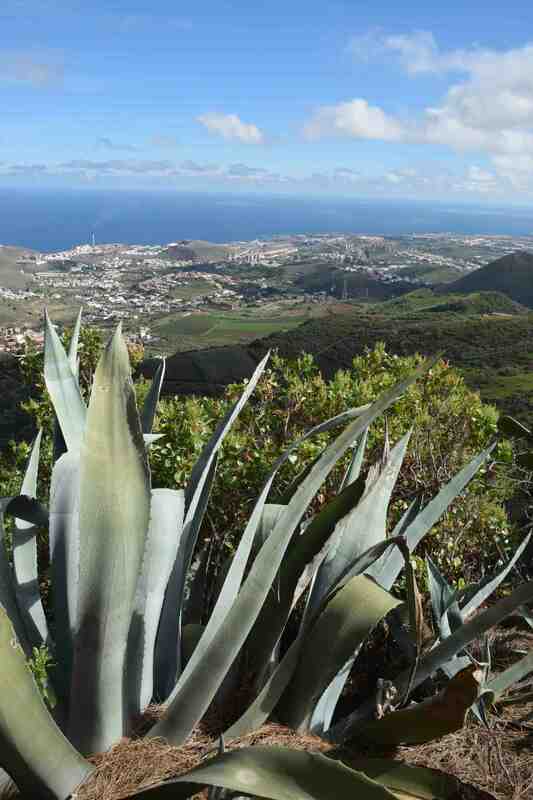 Travel to any warm climate and you will see them planted. Cacti and other succulents (all <well most> cacti are succulents but not all succulents are cacti) show convergent evolution because cacti are plants from the family Cactaceae and are wholly from the New World while there are other, very similar-looking plants that have evolved in the Old World. 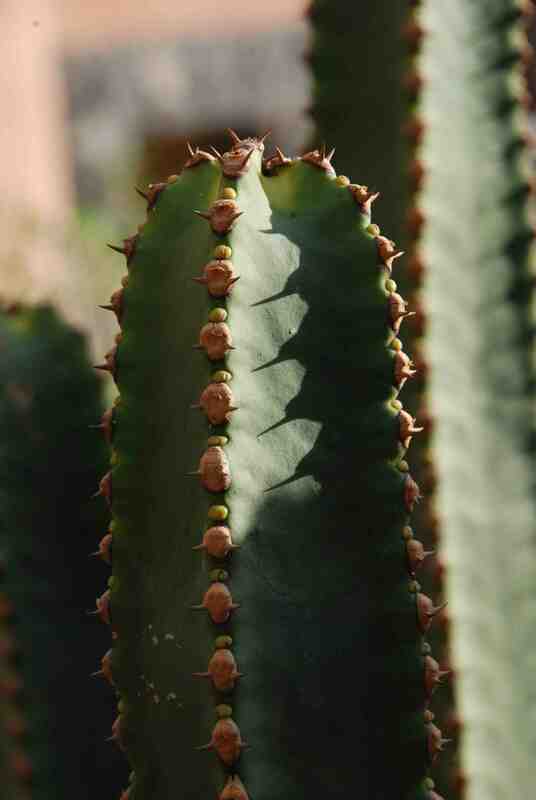 Here many euphorbias (below – E. canariensis) have upright, spiny,ribbed stems that expand in width when there is water and contract when water is scarce, just like many columnar true cacti. 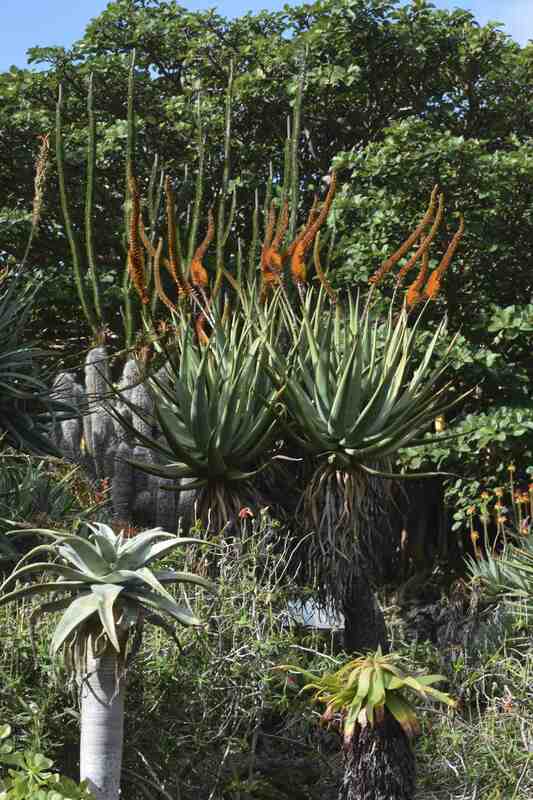 There are other parallels too, like aloes (below) from the Old World..
And agaves (below) from the New World. 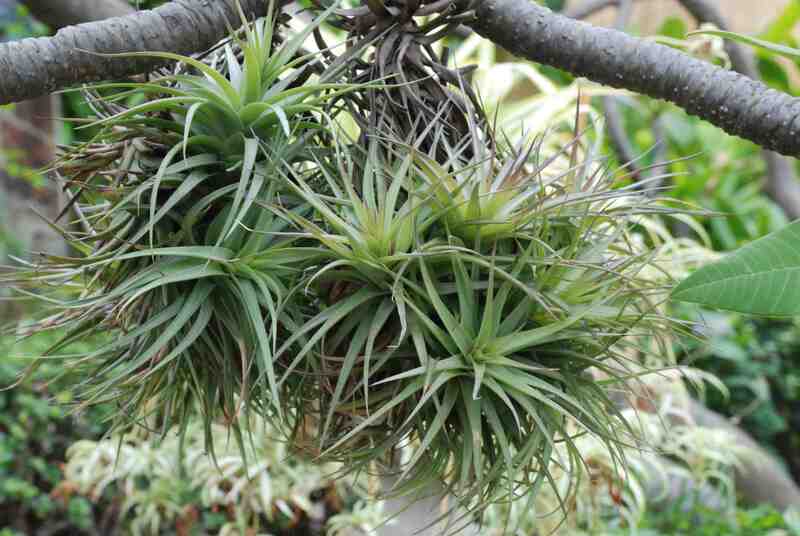 Some of the most remarkable xerophytes of all are the tillandsias. Most bromeliads ( the family to which they belong) grow in shade and with plenty of moisture but these absorb moisture from the air and have scaly leaves that are able to survive extreme drought – and many actually grow on cacti.